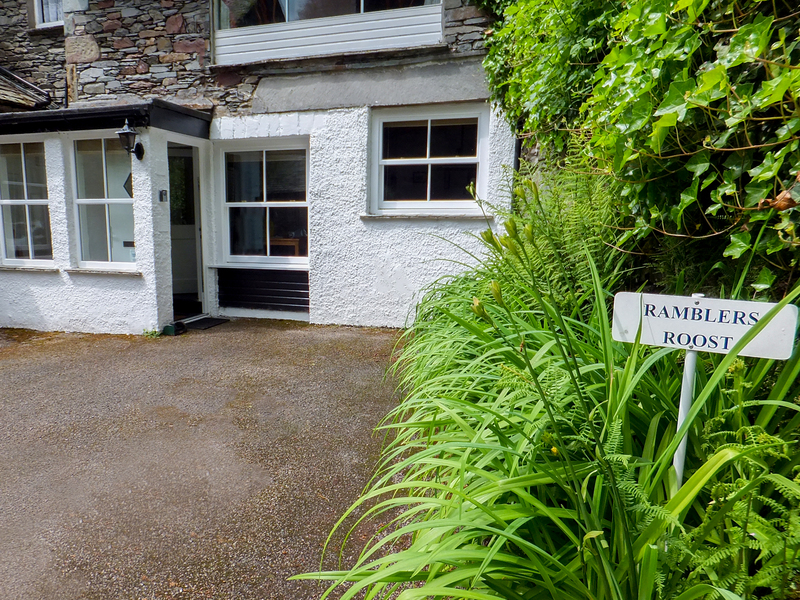 Ramblers Roost is a ground floor apartment in a former gentleman's residence a mile from Grasmere. There is a double bedroom, a bathroom and an open-plan living area with kitchen, dining area and sitting area. Outside is off-road parking for one car, and shared grounds including a small seating area outside the apartment. 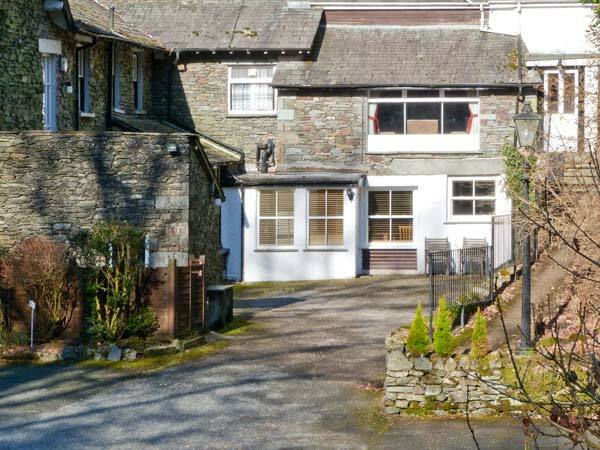 Ramblers Roost is only a mile's stroll to Grasmere village and lake, and is an ideal base for the rest of the Lakes. All ground floor. One bedroom: double. Bathroom with bath, shower over, basin and WC. Open plan living area with kitchen, dining area and sitting area. Electric heating. Electric oven and hob, microwave, fridge, shared washing machine and coin-operated tumble dryer in outbuilding opposite property, dishwasher, Smart TV with Freeview, DVD & CD player combined. (Netflix ready, for your password). WiFi. Fuel and power inc. in rent. Bed linen and towels inc. in rent. Shared grounds and terrace with seating which provides views overlooking the lake and beyond. Private allocated parking space for 1 car. Sorry, no pets and no smoking. Shops and pubs less than 1 mile. Note: Two steps leading from living area to bedroom, two steps down to bathroom. Note: No infants or children under 5. Note - Please note there will be building works and scaffolding for one week commencing 4th October 2019. This will be at the front of the main house and is not visible from Ramblers Roost, the works should cause little disruption.